Both mountain faces offer different advantages and disadvantages. The South Col route is arguably the easier of the two, with warmer temps on average and a less technical terrain. But, it features larger crowds, which translates into a longer push to the summit. With fewer climbers and bottlenecks, you’re more likely to summit faster on the North Ridge route. Getting there, however, requires you to trek through harsher weather and more challenging rock-climbing obstacles. The fact is there is no risk-free, safest route to the top of Everest. As professional mountaineer Alan Arnette told Seeker magazine, when confronted with the oft-asked question about which route is safer, he simply replies: “Pick your poison.” Climbers choose the route that best matches their personal preferences and skill level. A similar way of thinking is necessary when determining how best to tackle your debt. Both the snowball and the avalanche can produce the same result. The best one is whichever one you’re willing to commit to until you reach your goal. 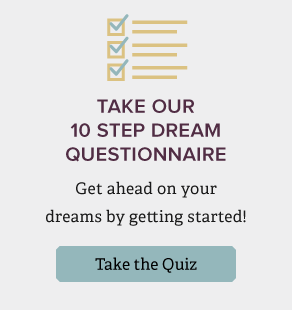 Let’s look at each one in more detail to help you figure out the method that is right for you. The debt snowball is probably the most commonly used way to pay down debt. It’s been popularized by Dave Ramsey as his Baby Step 2. You start with your smallest debt and then work your way up to the largest. Put as much extra money as you can toward your smallest debt while you make minimum payments on all other debts. Once that first debt is gone, apply that payment amount to the next smallest debt while you continue to make minimum payments on the rest. 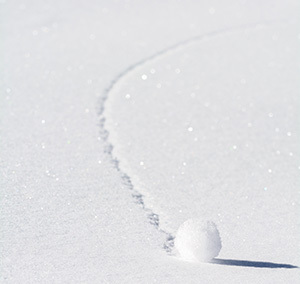 Each paid debt frees up more income – like a snowball – to use toward your next debt balance. Repeat these steps until your debts are gone. The benefit of this approach is that you can see results fast, which can help you stay motivated to eliminate your debt for good. The debt avalanche works much the same way as the debt snowball. You concentrate on one debt balance first while making minimum payments on the rest. The difference is that you stack your debts from highest interest rate to lowest interest rate instead of lowest balance to highest balance. Apply an extra amount to your highest rate debt first and make minimum payments on the rest. Then add the minimum payment and extra amount to the next highest rate debt. The debt avalanche will technically allow you to pay off your debt faster and save you more money. The potential downside is that tackling debt by interest rate can mean starting with some of your largest balances first. It can take a while to knock out your first couple debt balances, which may tempt some people to give up. Overall, the debt avalanche is likely to save you more money and help you pay down debt faster. But, it can take longer in the beginning to see some of those debt dominoes fall. That’s why many people choose the snowball method. You can’t discount the importance and confidence-boosting benefit of seeing progress sooner, which is why it’s easy to argue people are more likely to stick with the debt snowball method. That’s what matters most. Nonetheless, both follow a similar path – applying newfound income toward debt – to help you achieve the exact the same goal. Therefore, choose whichever method you can stick with until all your debt is gone. In addition, call your credit card issuers to negotiate lower rates or have fees waived. That can make shedding your debt even easier. Lastly, no debt-reducing strategy is going to help if you don’t commit to spending less than you earn each month. It’s the surest way to staying out of debt and building wealth.